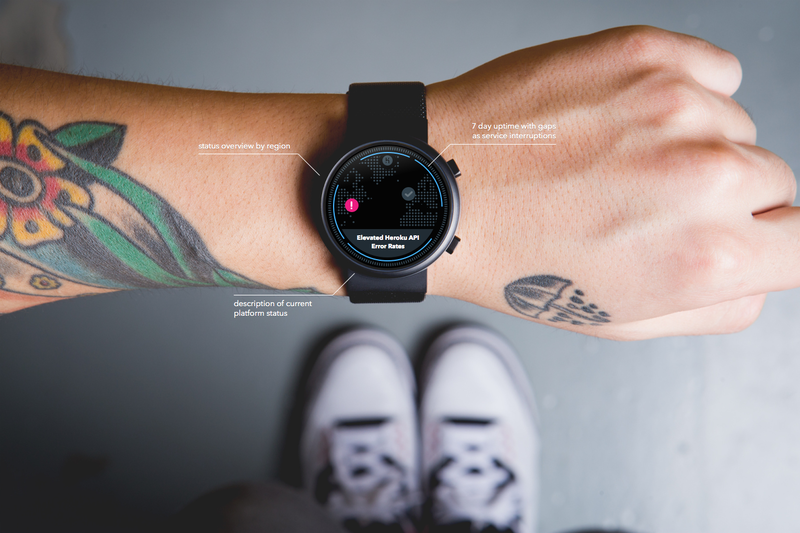 An interface to Heroku’s platform status for Apple’s rumored smart watch. A riff on Ralph Lauren’s recently introduced smart shirt. Apple is set to announce a new wearable device tomorrow – a smartwatch according to tech pundits. 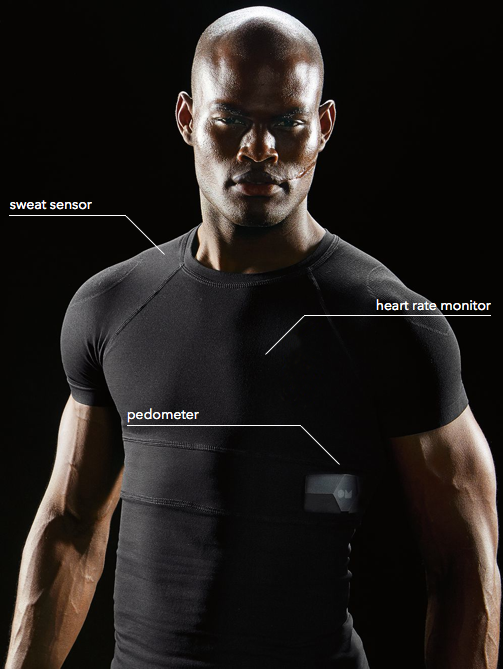 Though I can’t help but wonder if actual wearables are more likely to appeal to a mass market. That being said I’m probably wrong about every assumption I’m making. It’s remarkably difficult to predict Apples’ next move – which makes speculating so incredibly entertaining. 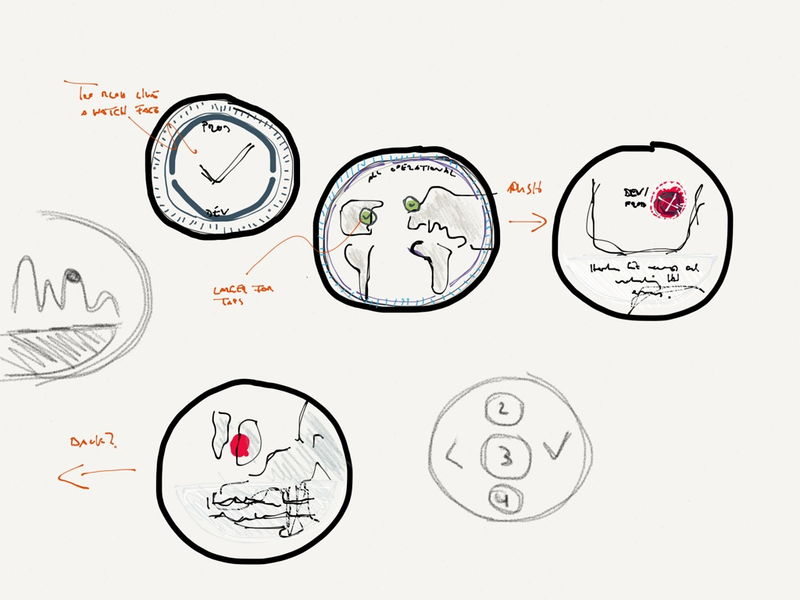 Besides, it’s more fun to sketch an interface for a smartwatch than a pair of socks. I had played around with the idea of a Heroku Status app for smartwatches previously so I decided to take the notion further this past weekend. The biggest challenge Apple faces with this new product is style. For it to succeed it either has to be invisible or a fashion statement – likely the reason behind Apple’s recent hires. I can’t see myself shelving a beautiful swiss chronometer for a square and boxy homage to 80s calculator watches. The two wearables I’ve found most appealing to date are the now discontinued Nike Fuelband and the Motorola Moto 360. The former tries not to draw too much attention to itself and the latter is somewhat acceptable in terms of form factor. Given Jony Ive’s crush on Dieter Rams I also looked for prior art among Braun watches. There too the most agreeable models were circular. 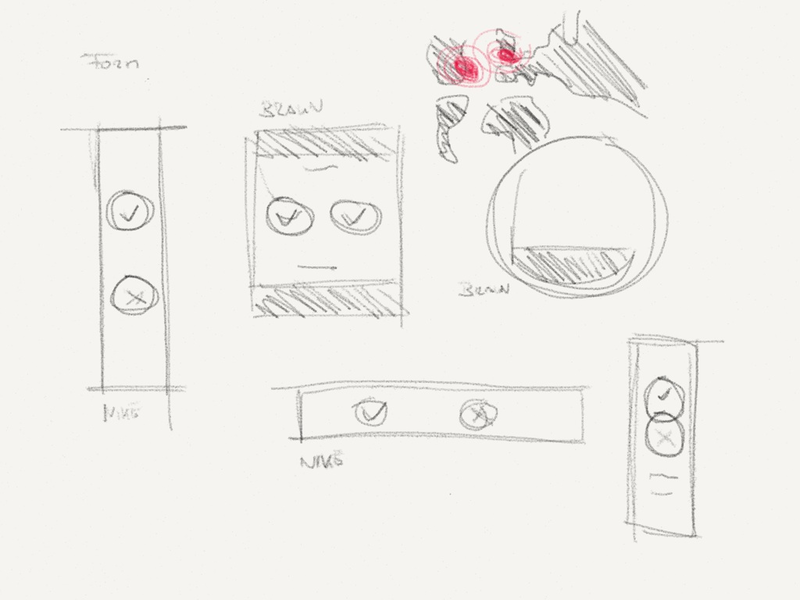 Rough sketches for different screen shapes and orientations. The limited real estate of a Fuelband inspired bracelet didn’t seem like the right canvas for this Sunday morning explortainment. Subsequent sketches evolve mostly around spherical devices. In 2012 when we decided to redesign how we communicate platform availability to the world one of the guiding principles was approachability. I wanted to teach less ops-savvy visitors the meaning of uptime, downtime, development, and production. A perspective worth preserving. The Heroku Status site is both a reflection of the current platform status as well as historic uptime. 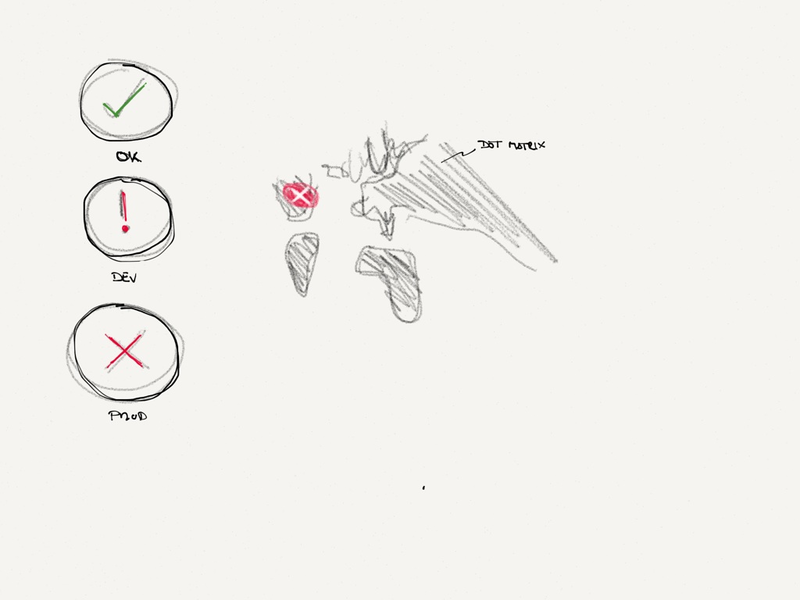 Given that the importance of past incidents diminishes on-the-go the interface focuses on the now. Furthermore I made some improvements to the representation of development and production incidents. Since the original inception of the status timeline we also launched regions which I wanted to represent as a core concept. The Heroku Status site sends out platform wide notifications for incidents via SMS. A smartwatch app is a great opportunity to shift to push notifications. However notifying every customer about outages that are not necessarily affecting their production apps is not very smart. While we currently don’t have the necessary APIs to send per-app notifications it would be a great candidate for future iterations. A glance at requests per minute, response time, memory usage, and error rate. Scale your app on the go. I make software. Now @usecanvas. Previously @heroku and @cloudapp.